A unique tropical fruit, jackfruit has a sweet flavor that is often used to prepare a variety of dishes. It is the largest fruit in the world and is packed with vitamin B, potassium, and protein. There are other crucial nutrients that make this fruit highly beneficial. And we will look into all of that and other benefits of jackfruit now. How Is Jackfruit Good For You? 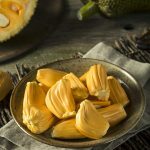 What Is The Nutritional Profile Of Jackfruit? What Are The Side Effects Of Jackfruit? Rich in minerals, vitamins, and dietary fiber, jackfruit makes an amazing natural laxative and keeps digestive issues at bay. The fruit also contains significant amounts of vitamin A, known to offer vision support – and more interestingly, it doesn’t contain cholesterol or unhealthy fats. The fruit is rich in B vitamins as well, which include niacin, pyridoxine, riboflavin, and folic acid. And it is a good source of vitamin C too – one nutrient helpful for boosting immunity. The benefits are many, and that is where we are headed now. Jackfruit is a powerhouse of phytonutrients like lignans, isoflavones, and even saponins. All of these are known to fight cancer (1). The antioxidants in jackfruit neutralize free radicals, and this also prevents some forms of cancer. Another study talks about the importance of jackfruit (especially the lectins in the fruit) in fighting uterine cancer (2). The dietary fiber in jackfruit can prevent colorectal, stomach, and esophageal cancers (3). Some sources say that taking raw jackfruit might reduce or even eliminate the need for insulin injections. And the essential B vitamins in the fruit can also help diabetics – they can improve insulin resistance in diabetics. Unripe jackfruit was also found to reverse the symptoms of prediabetes. One reason for this could be the glycemic load of jackfruit, which could be just half that of rice or wheat. The medicinal properties of jackfruit pertaining to diabetes have also been mentioned in Indian medicine (4). Research suggests that vitamin C in jackfruit can prevent inflammation that might otherwise lead to chronic ailments like heart disease (5). 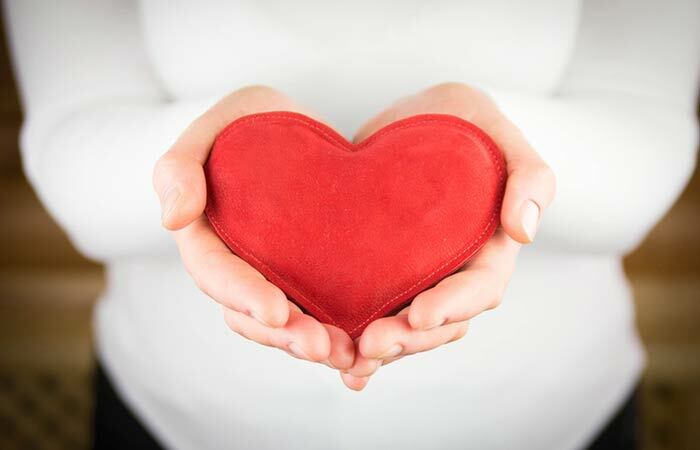 And the potassium in the fruit regulates blood pressure and prevents heart attacks. 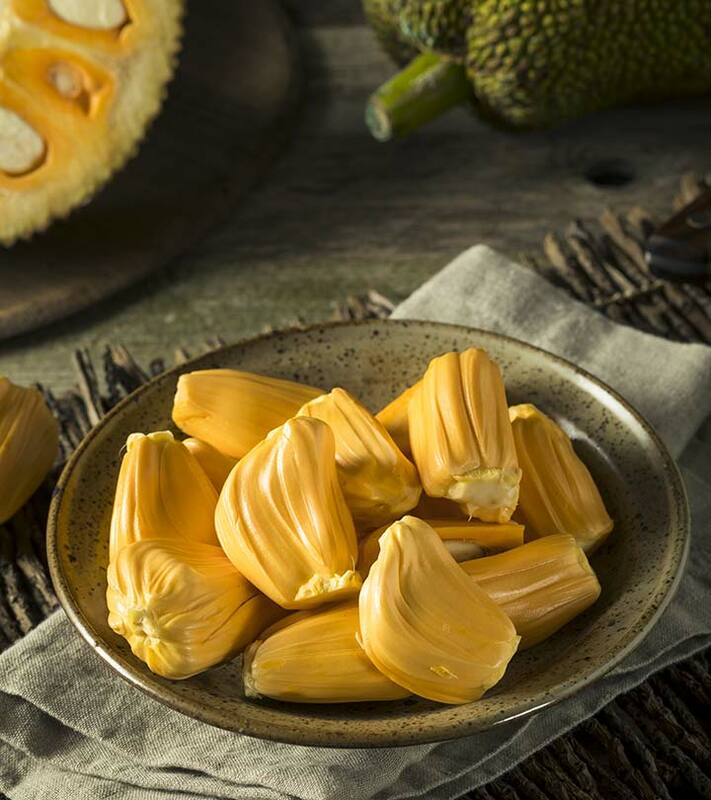 The B vitamins in jackfruit can lower homocysteine levels, and this can also reduce the risk of heart disease (6). The iron in the fruit also keeps the heart strong. In a single year, a jackfruit tree can produce as many as 250 fruits. The anti-inflammatory properties of jackfruit might play an important role in preventing obesity. Jackfruit is also a good source of resveratrol, which is an antioxidant that has been found to help trim inches from your waist. Strong preliminary studies suggest the important effects of jackfruit and its components in treating obesity (7). The fruit also boosts metabolism, which is another reason you must include it in your weight loss diet. The vitamin C in the fruit contributes to this aspect. The nutrient, just like the other antioxidants jackfruit contains, strengthens immunity and wards off diseases. Jackfruit lectins (the proteins) also help prevent and treat viral infections (8). This property can be attributed to the vitamins A and C in the fruit. Jackfruit is rich in vitamins A and C, both of which are beneficial to the human eyes. According to the American Optometric Association, vitamin C can reduce the risk of cataracts and age-related macular degeneration (9). Studies also show how vitamin A is involved in vision health (10). The fiber does the trick here – it eases the digestive process and prevents issues like constipation and bloating. Fiber also promotes bowel movement. More importantly, the fruit also helps eliminate the carcinogenic chemicals in the intestines. The fiber in jackfruit even protects the mucus membrane of the colon, which can be helpful in preventing ulcers. Jackfruit contains magnesium, which is essential for building bones. It also contains calcium that can cut the risk of osteoporosis. According to several jackfruit connoisseurs, the best jackfruit in the world is peniwaraka (or honey jack) that is native to Sri Lanka. While vitamin C in jackfruit fights free radicals that damage skin, the B vitamins help rebuild skin cells. The fruit also keeps the skin hydrated and prevents dryness and other signs of premature aging like fine lines and wrinkles. The fiber in the fruit cleanses the system and flushes out toxins, and this also improves skin health in various ways. These are the benefits of jackfruit. But you know what? Eating jackfruit could often be a puzzle. Or is it? You can either eat it raw or cooked. For the preparation, you can cut the slices in half and remove the yellow fruit pods and seeds from the skin and core. You can do this with your hands or use a knife. You can consume it plain or cook it into savory (unripe fruit works best) or sweet dishes (ripe fruit works best). In case you are a vegan or a vegetarian and want a meat alternative, you can use cooked jackfruit – thanks to its texture. You can also incorporate the fruit into curries and soups. These are some of the ways you can eat a jackfruit. You saw some of the nutrients in the fruit. But wait – there are more you should know. These nutrients help you if you take jackfruit as required. But taking too much of the fruit can cause problems. Jackfruit might lower blood sugar levels way too much, and if you are already on blood sugar medication, avoid it. Individuals allergic to birch pollen would also be allergic to jackfruit. Hence, exercise caution. If combined with medications during or post surgery, jackfruit might cause excessive drowsiness. Hence, stop taking the fruit at least two weeks before surgery. There is not enough research. So, stay safe and avoid use. It sure is the biggest of fruits, but what makes it better is its nutritional importance. Make this fruit a part of your diet, and tell us how it has helped you. Simply leave a comment in the box below. We would love to hear from you. What is the difference between jackfruit and durian? One aspect is the taste. While jackfruit has a fruity aroma, durian has a stinky smell. And while the flesh of jackfruit is rubbery and chewy, durian tastes like a creamy pudding. How long does a jackfruit tree take to bear fruit? Two to three years, on an average. How can you tell if a jackfruit is ripe? You can pick a jackfruit that gives off a sweet smell and gives a little with gentle pressure. How to preserve jackfruit for a long time? You can store fresh jackfruit in the freezer for 2 to 3 months after separating the individual pods into freezer-safe bags. If stored in the refrigerator, the fruit might last for 5 to 6 days. Wrapping the pieces and keeping them in the freezer can make them last for a month. What is jackfruit called in other languages? Jackfruit is called bōluómì in Chinese, jaca in Spanish, and katahal in Hindi. Q: What is jackfruit called in other languages? A: Jackfruit is called bōluómì in Chinese, jaca in Spanish, and katahal in Hindi. 1. “Lignans and human health”. US National Library of Medicine. 2. “Jack fruit lectin binding pattern…”. US National Library of Medicine. 3. “Stamping out cancer”. US National Library of Medicine. 4. “Functional herbal food ingredients…”. US National Library of Medicine. 5. “Vitamin C as an antioxidant…”. US National Library of Medicine. 6. “Vitamin B6”. National Institutes of Health. 7. “Exotic fruits as therapeutic…”. US National Library of Medicine. 8. 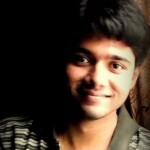 “Jackfruit lectin…”. US National Library of Medicine. 9. “Vitamin C”. American Optometric Association. 10. “Vitamin A”. National Institutes of Health.